Spurs Legends were great on the day, knew what they had to do and although they were beaten by 5-3 it didnt matter to much because the game was played in the right spirit. Spurs came down with a team full of class and experience (Chivers is 68) and the local lads couldn't believe the team had turned up. Steve Melay and Scott Wilkinson helped them between the sticks as a goalkeeper for Spurs could not be found. Spurs comprised of Dean Austin (124 lge appearances for Spurs), Paul Moran (36 and 2 goals) Graham Roberts (209/23), Steve Sedgley (164/8), David Howells (277/22) Steve Hodge (45/7), Paul Allen (292/23), Martin Chivers (278/118), Micky Hazard (102/15), Ricky Villa (133/18), and Ossie Ardiles (221/16) as manager. Helped by locals Glenn Cook, Martin Hunnings, Dan Coward and Neil Smith. The first half local team, captained by Wayne Taylor, was Scott Wilkinson, Tim Vernon, Wayne Taylor, Dan Rigby, Marc Mynard, Paul Bennett, Richard Collett, Jay Taylor, Matt Prior, Jason Turner and Chris Ratcliffe, Jason Turner scored for the local team who went in 2-1 down after Villa and Howells had netted for the legends. The second half team faired much better after the exploits of the first half had tired the legends team considerably. But they still showed tricks and composure that only comes with playing at the highest level. The local team was made up from Steve Melay, Turker Izzet, Tim Stevens, Stuart Abrahart, David Cook, Pete Larkin, Lewis Moses, Neil Jenkins, Chris Brady, Andy Munday (Captain), Chris Latham. Andy Munday netted a brace and Lewis Moses and Chris Latham scored the others. Howells scored a pen for the legends. Everyone Active's man of the match was Dan Rigby who played such a good role in the first half. And the organisers Man of the match went to Scott Wilkinson, for his enthusiasm for the match from the off way back in December. 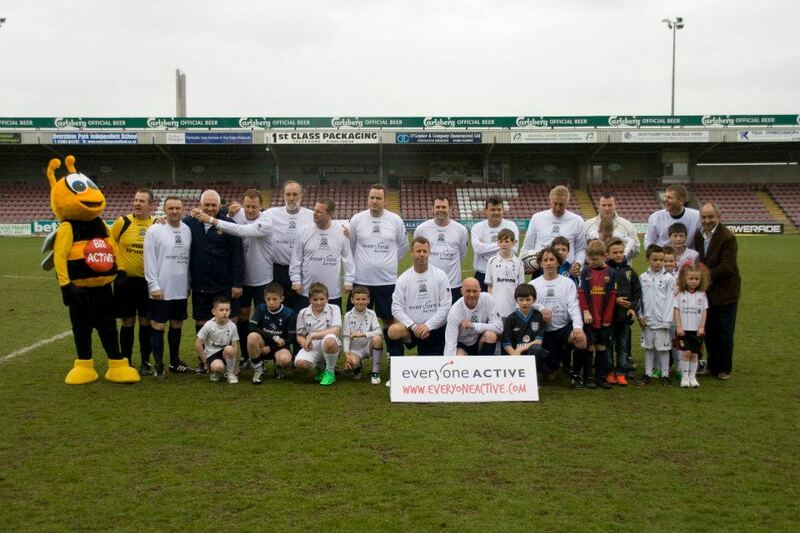 EVERYONE ACTIVE was the Match Sponsor for the Tottenham Legends game. A big thanks to Luke Parratt and all his team in Daventry for making this possible. Dan Coward, one of the local players managed to get the sponsor as he works in the Daventry branch. Please click on logo to read more about them. Phoenix Personnel Ltd took up the option of the Sponsor of the local players shirts for the Tottenham Legends game. We thank them for their support and hope they enjoyed their day with us. Please click on their logo to find out more. Sponsors of the Referees shirts for the day is Optical Express, We thank them for their support. 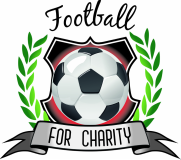 Big Thank you for www.mehstg.com for supplying us with information on some of the spurs legends who played on the 12th of May at Sixfields.